PRICED TO MOVE $3,100 below Kelley Blue Book! LT trim. Alloy Wheels, Tow Hitch, Onboard Communications System, Satellite Radio. SEE MORE! Satellite Radio, Onboard Communications System, Aluminum Wheels Chevrolet LT with SHEER SILVER METALLIC exterior and EBONY interior features a 8 Cylinder Engine with 360 HP at 5400 RPM*. TRAILERING EQUIPMENT, HEAVY-DUTY includes trailering hitch platform and 2.5- inch receiver with 2" adapter, 7-wire harness (harness includes wires for: park lamps, backup lamps, right turn, left turn, electric brake lead, battery and ground) with independent fused trailering circuits mated to a 7-way sealed connector, wiring harness for after-market trailer brake controller (located in the instrument panel harness) and (JL1) integrated trailer brake controller, AUDIO SYSTEM, AM/FM STEREO WITH MP3 COMPATIBLE CD PLAYER seek-and-scan, digital clock, auto-tone control, Radio Data System (RDS), speed-compensated volume and TheftLock (STD), DIFFERENTIAL, HEAVY-DUTY AUTOMATIC LOCKING REAR, ENGINE, VORTEC 6.0L VARIABLE VALVE TIMING V8 SFI (360 hp [268.4 kW] @ 5400 rpm, 380 lb-ft of torque [513.0 N-m] @ 4200 rpm) with (E63) fleetside pickup box; (322 hp [240.1 kW] @ 4400 rpm, 380 lb-ft of torque [513.0 N-m] @ 4200 rpm) with (ZW9) pickup box delete (STD), TRANSMISSION, 6-SPEED AUTOMATIC, HEAVY-DUTY, ELECTRONICALLY CONTROLLED with overdrive and tow/haul mode (STD). Keyless Entry, Privacy Glass, Alarm, Heated Mirrors, Electronic Stability Control. CarAndDriver.com's review says "Excellent range of engine options, enhanced safety equipment, trailer-ready engine, huge payload and towing capacities.". This Silverado 2500HD is priced $3,100 below Kelley Blue Book. Hello, I would like more information about the 2011 Chevrolet Silverado 2500HD, stock# B5285A. 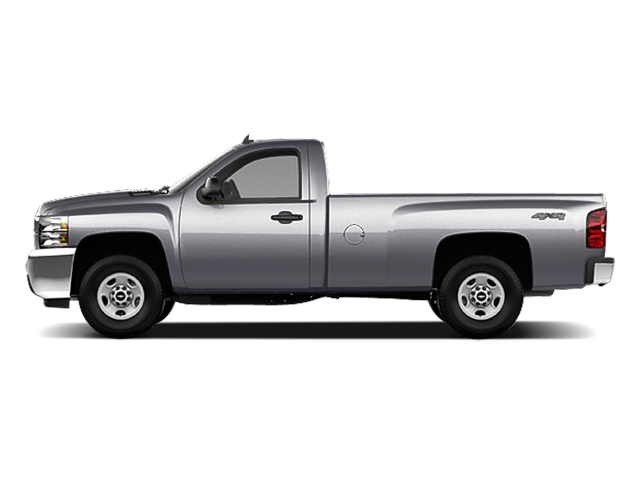 Hello, I would like to see more pictures of the 2011 Chevrolet Silverado 2500HD, stock# B5285A.